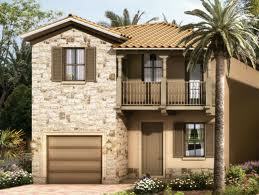 Vintage Estates is a new development underway in Doral. The high-end development offers a mix of single family homes and carriage houses. Vintage Estates is situated on 28 acres of land that sits in front of Doral Isles. As an upscale community, the entrance features a 24-hour manned gatehouse. This newest luxury community is sure to be a well-sought after neighborhood for families and retirees simply because of its level of luxury that is more affordable than many other similar communities throughout Miami/Dade County. Terra Group and Renegade Investments have partnered to create and develop this unbelievable community. Terra Group is a Miami based real estate developer that has developed great communities such as 900 Biscayne Bay, Reserve at Doral, and Quantum on the Bay just to name a few. Vintage Estates is located between NW 70th Street and 107th Avenue in the heart of Doral. It is within a short distance to Doral Golf Resort and Spa, several beautiful area parks, and the outstanding Doral shopping. Additionally, major transportation arteries like the Florida Turnpike are also very close making it easy to get into and out of the area. Doral is a community in Miami/Dade County that has grown by leaps and bounds since 2000. Because it is so close to all of the transportation hubs of South Florida, it is a landing pad for international business as well as domestic corporations. It was recently rated #2 in the Forbes Magazine “Best Places to Live” list because of its ideal characteristics such as a low unemployment rate, highly rated schools, and safe neighborhoods. Homes at Vintage Estate exude luxury from every vantage point. Starting with the gourmet kitchen that features state of the art, stainless steel appliances, Italian cabinetry, and quartz or glass counter tops, homeowners enjoy everything that is expected in a house of this caliber. Large, open rooms, SMART home essentials are standard in each home. Spa - like bathrooms showcase anti-skid tubs, marble counter tops, and large porcelain tile floors. The community makes luxury standard with a private gated community with 2- hour manned guardhouse, professional management company, state of the art fitness center with children’s playroom and locker rooms with showers and saunas, and a private clubhouse that overlooks a sparkling lake. Residents also enjoy a green park with bike trails and beautiful tropical landscaping. For families, Vintage Estates is close to some of Doral’s best private and public schools. 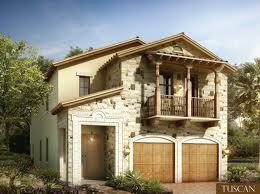 Vintage Estates is made up of two separate communities that offer different style of homes. In Vintage Estates and Vintage Place, homes have a Tuscan flair to the design. Vintage Estates is made up of single-family homes while Vintage Place consists of carriage homes. Sales are in full swing at Vintage Estates and Vintage Place. The first group of homes is set to begin closing in April/May with the next group closing in September/October. Potential buyers can plan to be part of the next group of homes that begin closing. The prices of the carriage homes start in the mid to upper-$400s for homes that range from 2,300 to 2,600 square feet. Single-family homes are priced to start in the low to mid-$700s and offer several styles from which to choose. Sizes range from just over 3,300 to almost 3,900 square feet. For those interested in home in Vintage Estates or Vintage Place, a payment schedule is in place with 15 percent due at contract, 5 percent at construction start and 10 percent due at roof top, and the remaining at closing. For buyers looking at moving to Doral or upgrading to a much nicer home, then Vintage Estates and Vintage Place are two great communities that bring a new level of comfort to Doral real estate. 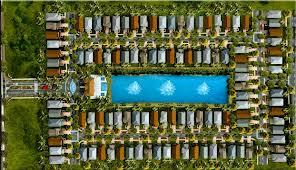 The features, finishes and amenities are considered standard in Doral’s newest luxury community. Our agents can provide the most up-to-date information to anyone wanting to look at the opportunities in Vintage Estates or Vintage Place. Contact us with questions.